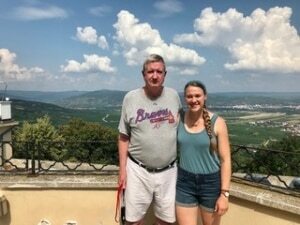 When our client, Phil Motes, told us he wanted to plan a special vacation in honor of his daughter’s college graduation, we knew they would love to go on one of the top river cruises in Europe as the perfect way to celebrate. The father-daughter duo recently embarked as first-time cruisers on the Viking Danube Waltz, one of our favorite river cruises in Europe for 2019 vacationers. Phil shares all the details of their memorable holiday below! 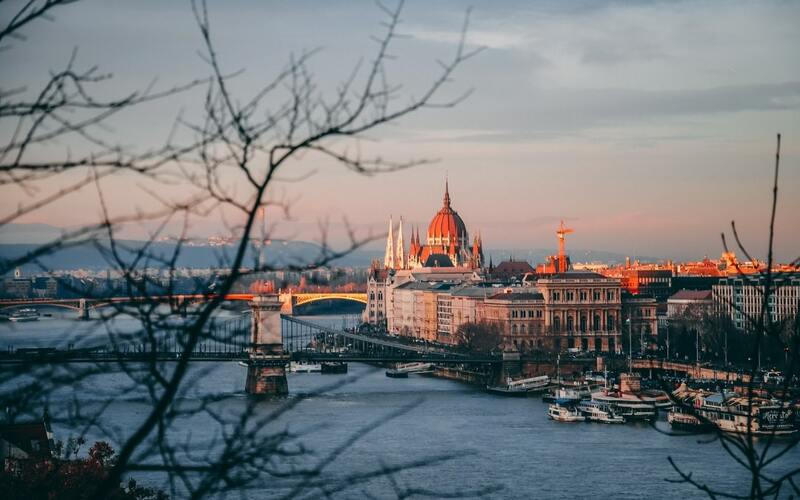 The pair opted to spend two extra nights pre-departure exploring Budapest at their own pace, but found that life on the ship also struck the perfect balance between freedom and planned activities. With breakfast finished, the two would set out for an included morning excursion, usually consisting of a walking tour with a professional guide. From fascinating history to local tips, Phil and Anna were notably impressed by the amount of knowledge each guide presented. Describing it as the highlight of their river cruise trip, Phil raves about how the concert, exclusive to Viking passengers, is an authentic opportunity to experience classical music — and one of the city’s most famous traditions. Other highlights included gazing over castle ruins and vineyards of the Wachau Valley, and learning the “beautiful but sobering” WWII history throughout the region. Phil and Anna Motes, taking in the Wachau Valley from the top of Göttweig Abbey in Krems, Austria. For Phil, having Jane’s travel expert advice meant he knew exactly how to manage time when he needed to transfer through a very large and spread out airport. Upon arriving at their connection, Phil and Anna were well-prepared and able to avoid travel complications and unwanted stress — a double win in our book! Overall, Phil remarked that he and his daughter had a fabulous first European river cruising experience. Such a fabulous time, in fact, that he’s already working with Jane to book another for him and his wife to enjoy this summer! Ready for a Refined River Adventure? Elegant architecture. Engaging history. Exclusive excursions. Luxury river cruising is a unique way to discover the finest experiences Europe has to offer, and our team of expert travel advisors is standing by to make that dream vacation a reality! Click here to schedule a complimentary consultation with a Southern Travel Agency advisor today. Let's Start Planning Your European River Cruise Experience Today!